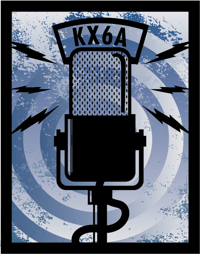 I was pleased to be featured in an article entitled Podcasting Goes Corporate that ran on the cover of the OC Register Business Section today (9/12). 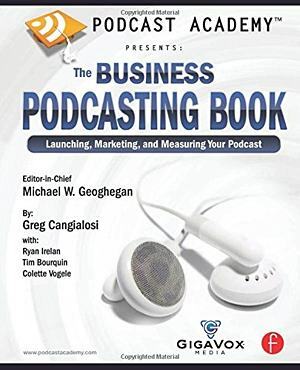 It focuses mainly on the work I have done for the Disneyland Podcast. Also mentioned are fellow podcasters Greg Cangialosi and Tim Bourquin, both of whom helped with the first Disney effort. You can read it free from registration requirements here. In the meme established by Jason Calacanis and Eric Rice, here is my upcoming schedule. 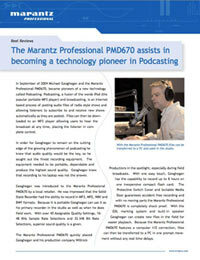 I was contacted by the good folks at D&M Pro, the people responsible for Denon Professional and Marantz Professional gear, regarding my use of their PMD670 for podcasting. As many of you know, I have long been a fan of the PMD670 as a stand alone digital recorder. I use it both in my studio and when out doing projects such as the Disneyland Podcast. 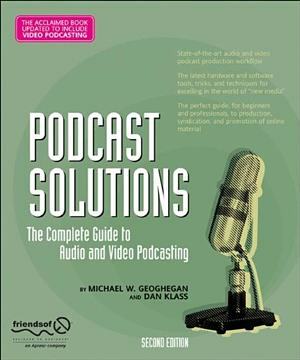 They ended up using the information as a case study for the use of their equipment in podcasting. Pretty cool. 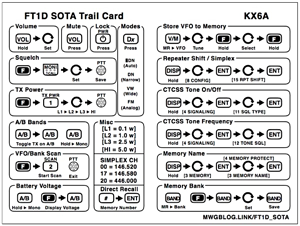 You can find their page on the PMD670 [here] and a link to the PDF of the case study [here].